Matching a tie to a shirt can quite often be teasing exercise. If you are really keen to display the color your necktie, wear it on a white shirt. Any color tie goes well with a white shirt. 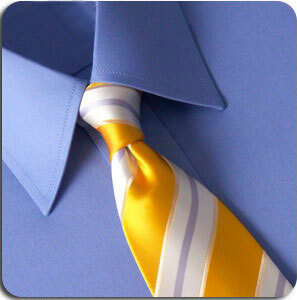 If you are wearing single color shirts such as pale blue, pale yellow, pale tan, then you will have to necessarily exercise imagination before deciding on a bright necktie. First, you can match the same color shirt with the same color tie and this can be a good option. However, when you want to truly match your tie with your apparel, the easiest thing to do is to coordinate. Coordinating is the art of matching two different colors that combine well. The standard coordinates are: pale blue shirt with a yellow, red, burgundy, gold or navy tie; pale pink shirt with a navy blue or burgundy tie; pale tan shirt with a brown (or any shade of brown) tie; French blue shirt with a yellow, bright red, deep burgundy or gold tie. For a striped shirt, coordinates can be different and the tie should not be plain but have patterns. 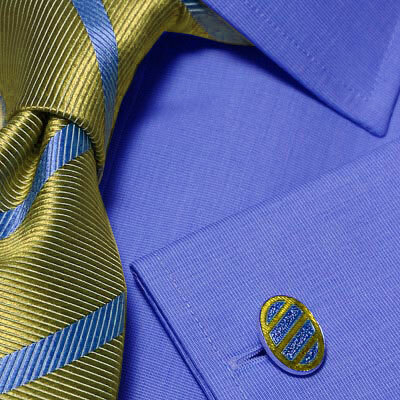 If the stripes are navy blue in color, add a yellow tie with a box pattern or a pin dot or polka dot patter. Coordinating a tie to a checkered shirt is the same as coordinating a tie to a striped shirt. 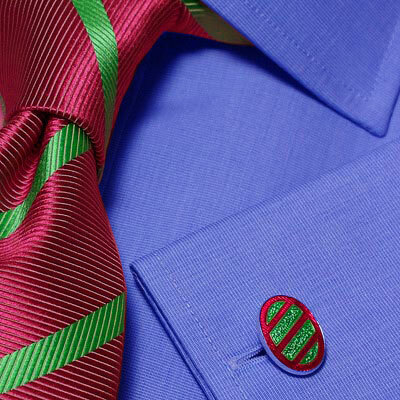 Take a look at the shirt and find out the predominant color and then coordinate a matching color for the tie. Many men are fascinated by neckties and are necktie collectors. Collecting beautiful ties quickly becomes an addiction. Collecting good ties is real fun but the thrill is in finding them.